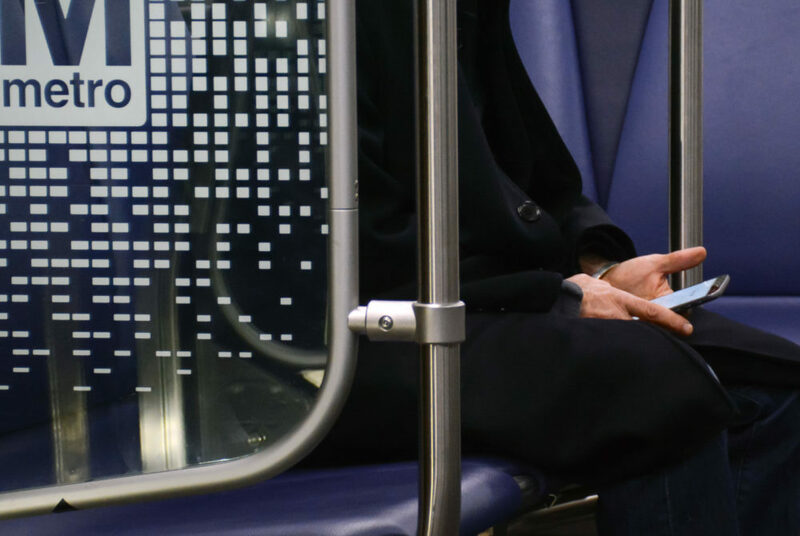 The Washington Metropolitan Area Transit Authority is currently developing a Metro app to be rolled out next year that will offer mobile fare payment options and real-time service information. Transit riders will soon no longer need to pull a Metrocard out of their pocket on the way into the station. The Washington Metropolitan Area Transit Authority is developing a Metro mobile application to be rolled out next year that will offer mobile fare payment options and service information, according to an agency statement released earlier this month. Customers can add money to their card and tap their smartphone to get through the fare gates using the app – the same way they would a SmarTrip Card, according to the release. The app will be compatible with current technology, but more than 900 new fare gates will also be installed at all 91 Metro stations by 2020 as part of the project. New fare vending machines – equipped with large touchscreens and additional language options – will be the last phase of “fare modernization,” the release states. The Virginia Railway Express, a commuter line connecting suburban Virginia and D.C., released a similar app in 2015, on which users can purchase and display tickets once they have boarded the train. Customers can also use funds from their SmarTrip card to pay for train tickets. Lucy Gaddis, the VRE’s public affairs administrator, said their app did not increase ridership, but it now accounts for about 30 percent of all ticket sales. In a recent wave of app-run transportation, students said they are hooked on initiatives like dockless bikes and scooters as they provide an easier way to travel around campus. Hailing transportation through smartphone apps has led to a reduction in public transit, a 2017 study by the University of California, Davis Institute of Transportation Studies found. Hiroyuki Iseki, an assistant professor of urban studies and planning at the University of Maryland, said the new app likely will not increase Metro ridership, but will better satisfy current customers by allowing riders to easily keep track of their remaining SmarTrip value or add extra value whenever they want. “That’s kind of convenient to add to some preference to public transportation among current riders, but I don’t think that that’s going to influence people who are not currently using the Metro and buses,” Iseki said. WMATA will also likely be able to better collect data on trip origin, destination and length more easily after implementing the app, he said. Andrew Mondschein, an assistant professor of urban and environmental planning at the University of Virginia, said one potential problem with the app is that paying by smartphone may only benefit high-income riders, who typically can afford smart phones, as opposed to those with lesser income. “We also need to ask then, if the Metro starts to use this kind of payment approach, how will they continue to support people who don’t want to have smartphones or just can’t afford to have smartphones?” he said. This article appeared in the April 19, 2018 issue of the Hatchet.